﻿ Ibis Styles Bali Legian, Indonesia | FROM $35 - SAVE ON AGODA! 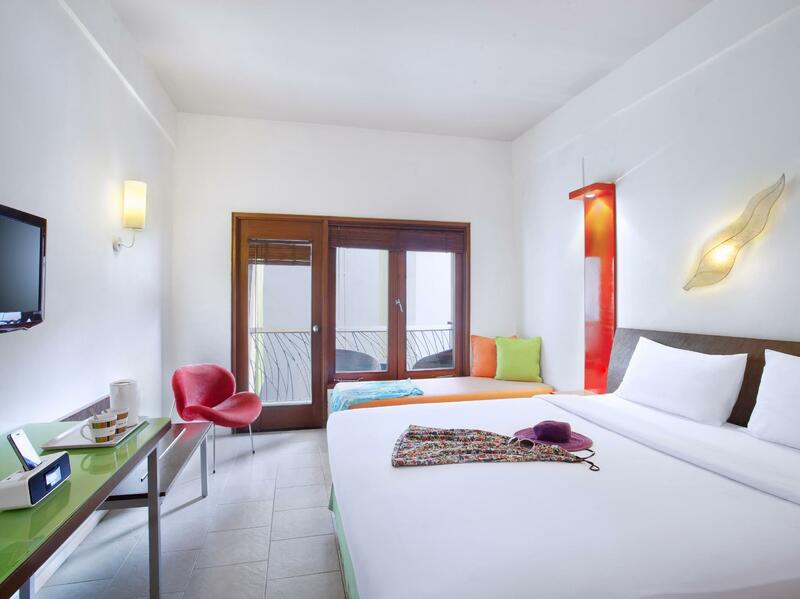 Have a question for Ibis Styles Bali Legian? "A nice hotel, good price." "The hotel spa is wonderful as are the staff." "Staff were lovely, driver Dilan was fab." "Rooms very comfortable, beds very nice." 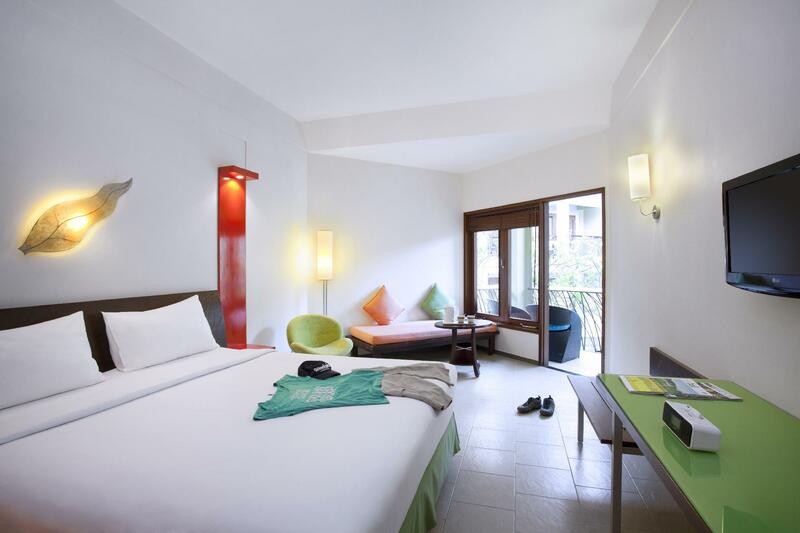 Ibis Styles Bali Legian is located with easy access to markets, shops, and restaurants. It just 15 minutes from the international airport, and Legian's famous beach is within a few minutes' walk. 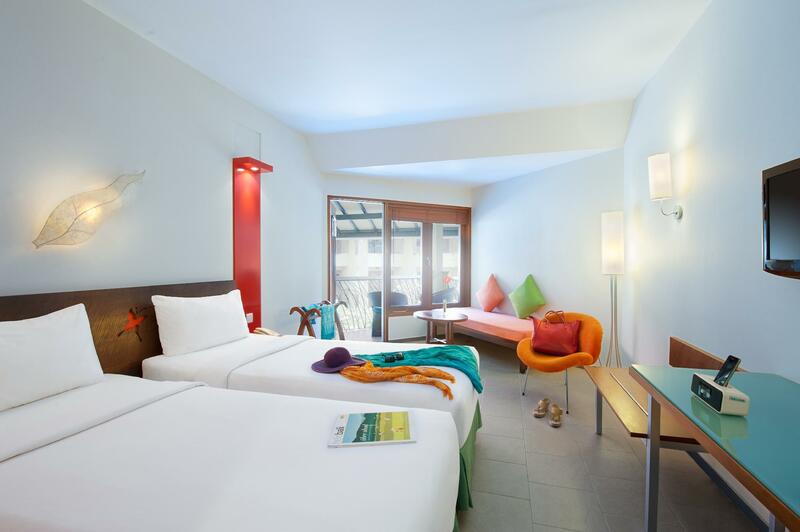 The hotel offers quality features combined with contemporary and colorful design. All 113 rooms surround the landscaped swimming pool and offer all modern amenities. The hotel has a coffee shop and restaurant in the lobby serving a range of international and local dishes. Business facilities are on offer for corporate travelers, and there are massage facilities, a spa, and also a children’s pool. Services include everything form currency exchange and laundry to car rentals and transport arrangements. I have stayed here so many times, I have lost count. It is looking a little tired but the staff and the housekeeping make up for it. I have to admit, I did have breakfast this time, was the same old same old, I would suggest eating out. I may suggest that they need extra lounges at the pool for as it is a first come first serve and you have the ignorant guest who leaves there towels on the beds for hours and just leave then come back, this should be policed by the staff 30 mins at the most, to make it fair. Also, they have to monitor guests in the pool in the morning. During our stay, had parents with a screaming 5-year-old at 6.15 am that was jumping in the pool and the parents didn't care for any other guest that were resting. The property does ego a lot, so if your on you balcony chatting on your phone guaranteed everyone can hear what you're talking about. Just a heads up! Stayed during Christmas, my room is quite old and smelly. Nice thing about this hotel are the staff and manager are very thoughtful and caring. Food was good. A nice hotel, good price. Small pool area but really nice. The breakfast food isn't the best and room service could use improvement but the BBQ night is definitely worth going too. The hotel spa is wonderful as are the staff. Really liked the modern decor of All Seasons Hotel, was given a warm welcome by staff on arrival, rooms nice clean and comfortable. Close to all the restaurants and shops, so great for just walking out the front and everything is there. About 3 minutes walk to beach, nice pool a little shallow but still good to cool off. We arrived at check-in around 12.30am to a smile & a welcome drink for the four of us. Check-in was all of 10 minutes and very painless. We got a room on the top floor overlooking the road, so view was so-so. Rooms are colourful but dated. As in Asia, the bed was hard, but was the best bed we have ever had in an Asian city. Pool opened at 8am each day, will kids making good use of it. Daily breakfast was good, with an egg cook on hand to offer up what you required. For an average priced hotel, only 2 min walk from the heart of the Legian shops and massages etc, this is the place I will stay at again. was welcomed upon arrival. very nice clean hotel with modern touches, staff very friendly and helpful. the all seasons hotel is within walking distance to beach which only takes about 5 minutes. close to shopping in sahadewa jl. has some great restauants around the area, poser's we found very interesting with people selling things on the corner. would stay here again. New, fresh hotel. Close to shops and markets. Travel with friends , booked 2 rooms. From the time we arrived at the hotel, the service is good , friendly staffs . rooms are clean , spacious and comfy with modern design. A little bit far from famous Kuta and Legian street, about 15 minutes walk. Should have free wifi in the room. Wifi at lobby is troublesome more over the password has to be changed every hour. Location, Location, Location. 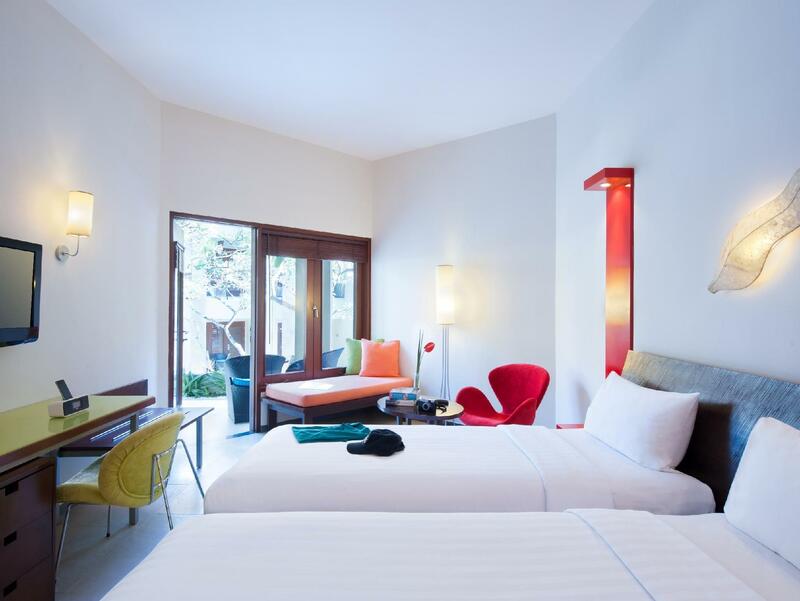 It is very well situated in the right inside Seminyak area. Everything is just minutes walk/drive away. Overall, it is a good experience. Check In was fast, efficient. Room was comfortable, though I wish the toilet can be a little bigger. But the room itself is big. The pool looks great, wish I have a chance to use it, but as it is a business trip, thus no time for it. we stay at this hotel and we were impressed with the cleanliness. we stayed at the ramayana few days prior staying here and i wish we would have stayed at the all seasons the entire vacation. the staff is very friendly and easy going. overall, it was a nice stay! Very Clean and well run. supplied great bathroom extras. eg. razor , combs..nice rooms friendly staff. we had a great time at all seasons. it was one of the 3 different hotels we stayed in at bali. the bathroom was very small.but room overall was very nice and modern decor.no hair dryer was a nuisance as had to ring for it all the time!happy hour was nice! This is one of the most colorful hotel I have ever stayed. I like the the colorful interior setup that makes the guests feel "younger" the moment you step into the hotel lobby. Room is spacious , comfortable and again, I like the contemprary setup and the colors used. Each room has a balcony too. I enjoy swimming in the pool which has about 35 meters in length. 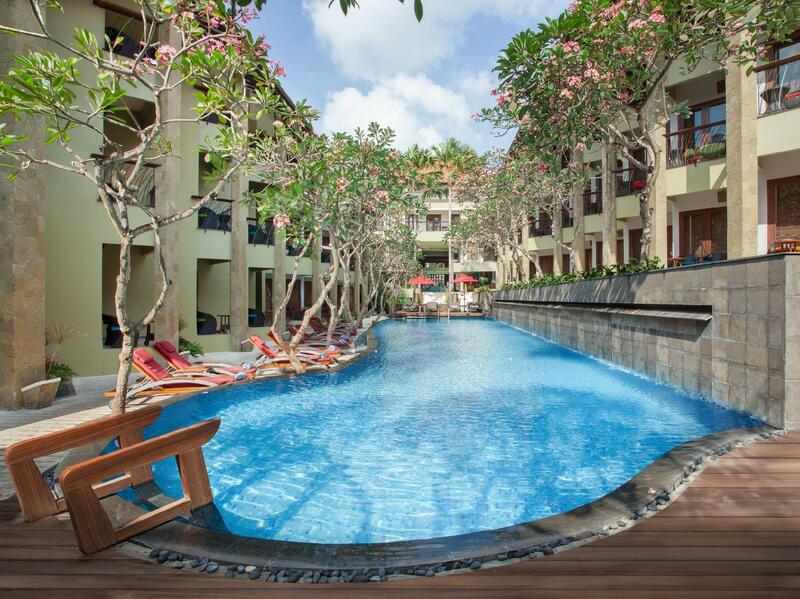 That fits into my need for a daily exercise of long distance swim.Even though the location is not near to Kuta town center, but the hotel does provide free shuttle service. One set back, this hotel is not located next to the Legian beach. I do enjoy my stay in this hotel. All Seasons is seconds from the surf, shopping and restaurants of Legian and Kuta, two of Bali’s most celebrated resort districts. 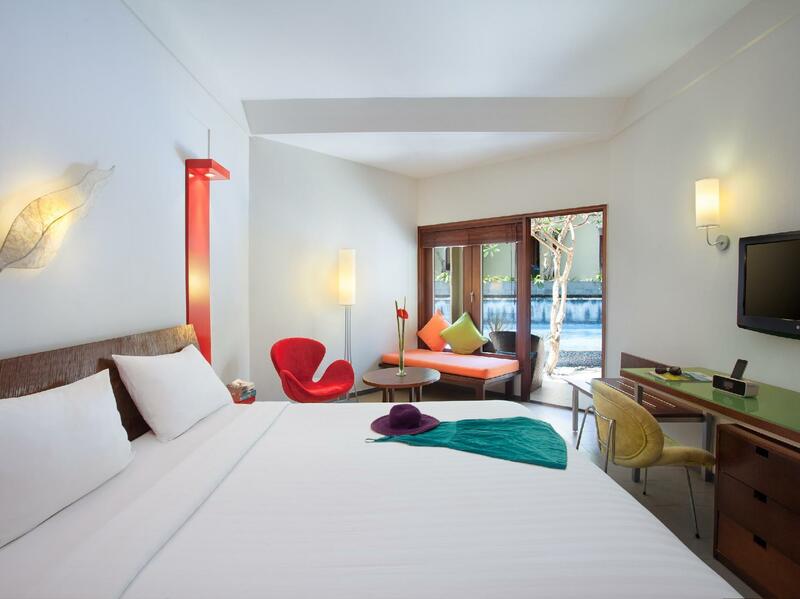 Funky contemporary design, friendly service and affordability are all combined at All Seasons for an outstanding Bali experience. 1. Must love the pool. 2. Since it's in Legian, easy to go anywhere... to the beach, art market, bars, restaurants, etc. 3. Room Service staffs were quick, friendly and helpful. 4. Great hotel food. 5. Applying go green program. 6. Great for couple and family. No free internet wifi. You must pay for the internet. I really really enjoyed my stay here, very nice hotel. I would love to stay at this hotel again, friendly staffs, lovely pool (esp. the deck -- nice!!!) and near to local attractions. Planning to stay here again when I get the chance. I'm very satisfied. Room basic. Budget hotel. Bathroom nice. 1 of the 3 rooms our family had was very damp and moisture on sheets, bags and clothes. Damp and smelly. Other 2 rooms ok. Ordered a night meal at restaurant and took two hours to serve. Very hungry children. Forgot 1 meal, then tried to charge us twice. Do not recommend restaurant. Perfecf spot! Everything at your finger tips and out of the rat race. Large rooms, no street noise, great pool and pool bar with great happy hour and prices. Staff fantastic! Only down side would be for elderly or people with bad knees.....there is no lift and the 3rd floor can catch your breath and be a little effort. Just recommend a lower floor.